AS the Philippine economy grows further, the local property sector will continue to flourish with numerous investors coming into the country for investments in real estate. The country’s GDP rose 6.6 percent in the fourth quarter of the year, bringing the 2017 growth to 6.7 percent. To complement the country’s stellar economic performance, the Philippines is also enjoying a construction boom with the Duterte administration’s “Build, Build, Build” program leading the way. “Although slower than the 6.9 percent recorded in 2016, an election year, the 2017 GDP indicates the country’s strong macroeconomic fundamentals with growth primarily driven by consumption, manufacturing, exports and infrastructure. These segments have a positive impact on the country’s property sector,” global real-estate services company Colliers International Group Inc. said. In an interview recently with the BusinessMirror, PropertyAccess.co CEO and Founder Hiroki Kazato said the company is bullish on the Philippine market as shown in its performances in the past five years. “When I moved to Singapore, I checked the prices of real estate in the Asean region, I discovered the Philippines is the fastest-growing market and the prices are more affordable than in Hong Kong, Thailand and Singapore,” he said. Parklane Commercial Corp., a 35-year-old company engaged in supplying construction to major government and private projects, is one of the beneficiaries of the infrastructure development program of the government. “Our company experienced a good year in 2017 as the private sector became more aggressive in developing projects,” Parklane General Manager Jerwin Leung told the BusinessMirror on the sidelines on the Worldbex exhibit held recently in Pasay City. Moreover, Leung said the demand for pipes have been high as pipes are important for housing and infrastructure projects. In anticipation of the huge demand around the country, Leung said Parklane will beef up its network of dealers. At present, Parklane has more than 50 dealers. “We remain bullish on the construction industry as the country’s macroeconomic fundamentals remain stable. The 35-year-old company is also aware of the development spreading across the different parts of the country and this has motivated us to expand our dealership outside Metro Manila especially in the second-tier cities,” Leung explained. Parklane plans to introduce more products in the market at the latter part of the year to address a huge portion of the requirements of the market ranging from low to high rise infrastructure. Moreover, it also sees a big potential for the construction projects of the government. 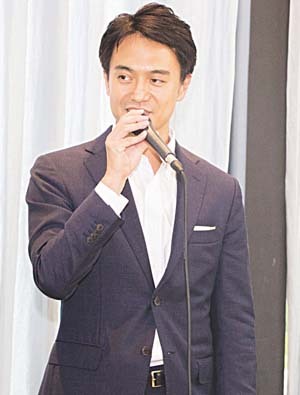 “As a market leader in the country, Parklane is determined to introduce products that have the latest innovations and technologies,” Leung said. Nevertheless, Parklane remains on a cautious optimistic mood as far as the growth target for 2018 is concerned. As a forward-looking company, Leung said, Parklane will continue to introduce products that will create an impact in the construction industry. One of these products is ERA PPR Hot & Cold high pressure piping systems for water lines. These quality pipes and fittings are made from Polypropylene Random Co-polymer resins. It is a versatile piping system that can be used in different applications. It has impact strength and resistance to high temperature, which is advantageous to potable water industries. Under normal working pressures and conditions, the average service life of ERA PPR pipe is projected to be 50 years or more. Another one is a high-end appliance in the local property market and growing affluence has enabled them to sustain the growth in their 18 years of operation. “The growth and growing affluence contributed to the growth of the brand. People who know Sub Zero want the brand very much,” said Stephen Sy,CEO of Focus Global Inc. (FGI) in an interview on the sidelines of the launching of the newest models of the Sub Zero brand. FGI recently introduced in the local market the latest models of luxury appliances Sub-Zero and Wolf’s outdoor kitchen suite 1 to a selected audience and the press at the Bonifacio Global City. Sy admitted it was a challenge at the start because his team had to build the brand and develop awareness among the high-end users in the country. Aside from Metro Manila, Sub-Zero is also being introduced through its dealers in Cebu, Davao and Cagayan de Oro. Among the users of Subway are Two Roxas Tower, Shangri-La the Fort Horizon condominium, Discovery Primea and Amanpulo Resorts Philippines.